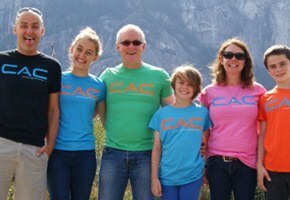 Climbers Against Cancer was founded by John Ellison, who was sadly diagnosed with an advanced form of cancer in 2011. He wants to increase awareness and raise funds for research in the fight against cancer. 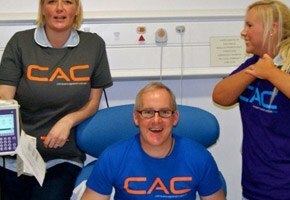 John’s fight against cancer lead him to setting up his own online shop selling t-shirts as a part of his CAC organisation. The online shop was launched in January 2013 and from the off, it has had astonishing success. "Since the first day we have been rushed off our feet- we had over two hundred orders and it has been non-stop since then! We took well over £7000 in our first week. I think it helps that the t-shirt’s are nice to wear, good quality and it’s a great cause."